Last week a start-up based in Perth called Power Ledger listed a crypto currency called POWR tokens. The tokens are designed to enable energy trading between residents of strata schemes, such as their pilot site Gen Y in White Gum Valley. The public token listing raised a staggering $34 million via an Initial Coin Offering or ICO of 350 million tokens. There are a total of 1 billion tokens including those held by founders, with a total market capitalisation of USD 150 million as of last night. This is the first Initial Coin Offering in Australia following review and guidance from ASIC. Power Ledger was reported among 15 firms leading the way on energy blockchain in Greentech Media including Conjoule, Drift, Greeneum, Grid+, Grid Singularity, Electron, Energy Web Foundation, Impact PPA, LO3 Energy, MyBit, Power Ledger, SolarCoin, Sun Exchange, Veridium Labs and WePower. A few other recent energy market ICOs include Pylon Network and GRID+ and 4New. In Europe, Ponton GmbH has already established blockchain software, called Enerchain, that allows anonymous peer-to-peer trading without using a third party. A number of utilities from Enel SpA to RWE AG have already started live trading based on blockchain this year, after tests that started in August 2016. According to BNEF an investment fund in China, Energ Blockchain Labs, is also applying blockchain to distributed solar, EVs, wholesale and retail power markets. In this case, however, transactions are not automatic and are still processed in local currency, as bitcoin and other digital currencies are not legal in China. According to Tech Crunch, Power Ledger is using a blockchain to build a decentralized energy infrastructure, which will permit producers of solar and wind energy to trade excess energy over micro power grids, enabling energy marketplaces, for example, within apartment buildings and in communities. Dr Jemma Green, Co-Founder and Chair of Power Ledger told Huffington Post Australia that Power Ledger formed with two key concepts in mind; peer-to-peer trading across energy networks and peer-to-peer trading of energy within buildings. According to Huffington Post even Elon Musk has approached Power Ledger for information about what they are doing in the energy space. Another start-up covered by BNEF and New Scientist is New York Based blockchain pioneer LO3 Energy, which has itself opened up a branch in Australia, in New South Wales’ Byron Bay. LO3 is best known for its microgrid project Transactive Grid in Brooklyn New York that allows peer-to-peer energy trading between the boroughs of Boerum Hill, Park Slope, and Gowanus. Lawrence Orsini, co-founder of Transactive explains that the blockchain makes it easy for anyone to set up and enforce contracts, with the transaction following automatically. According to LO3 more than 100 buildings have been enrolled in that project. Power Ledger's Jemma Green, now acting Major of Perth City Council, has said she was inspired by the Transactive Grid project. Bitcoin based on a 'proof of work' algorithm, is the first and most well known crypto currency. Mysterious founder Satoshi Nakamoto initiated Bitcoin with his publication 'Bitcoin: A Peer-to-Peer Electronic Cash System' a system for electronic transactions without relying on trust. There is a combination of three main technologies that made Bitcoin successful; the internet, private key cryptography, and a protocol governing incentivisation. The result is a system of digital interactions that does not need a trusted third party. ​The anonymous nature of crypto currency transactions makes them well-suited for a host of nefarious activities such as money laundering and tax evasion. According to Investopedia an ICO or Initial Coin Offering is an unregulated means by which funds are raised for a new crypto-currency. Coin Market Cap now lists over 1,200 crypto-currencies, their market capitalisation, prices, trading volumes, and movement. On a global basis, 154 ICOs have raised US$2.3 billion, according to Coinschedule, and last month alone saw nearly US $500 million in ICOs by startups and others. In part crypto currencies are valuable because they have an engineered scarcity. By continuously creating new crypto currencies via IPO's we now have the means to created unlimited wealth. However, apparently "some" crypto currencies may be fraudulent according to Investopedia. ​The incredible rise in the price of crypto currencies appears to have taken off around late April 2017. This correlates with the massive proliferation of different crypto currencies that have raised funds through the ICO process. Not unrelated, the average punter needs to create a digital wallet and purchase the main crypto currencies, usually Bitcoin or Ether. In other words, a contributing factor in the rising demand for established crypto currencies is for gaining access to investing in the new crypto currencies. Smart contracts platform called Ethereum which has Ethers as its coin tokens appears to have played a significant role in the explosion of crypto currencies. Visit the Ethereum website and you can start designing and issuing your very own crypto currency. Follow the link "Issue your token" or just click "Kickstart your project" to get started with your own fundraising. ​According to Egbert Schroeer Microsoft MD of Process Manufacturing & Resources Industry "Blockchains can help track products in warehouses or in transit and ensure quality and integrity across the value chain. Blockchain can help with the authenticity of products and processes run in real time to pro-actively mitigate supply-chain risks. Blockchain has certainly grabbed the attention of the regulated power industry. [It has relevance to] smart grids and new forms of energy trading. Both utilities and consumers will produce and sell electricity and blockchain is a supporting capability in the cloud." Sovereign nations are grappling with the challenge presented by the rise of ICOs. Recently in New Zealand it was ruled that all ICOs are now deemed to be securities unless a special exemption is lodged with the regulators. On the other hand ​​China's central bank, the Peoples Bank of China banned ICOs citing it as disruptive to economic and financial stability. A three year effort by the Winklevoss twins to convince the SEC to allow a regulator Bitcoin ETF (Exchange Traded Fund) was rejected. Tripathi of PwC says the SEC decision shows the agency recognizes the benefits of the ICO marketplace, but is also concerned by the lack of oversight and transparency from the exchanges on which the coins are traded. 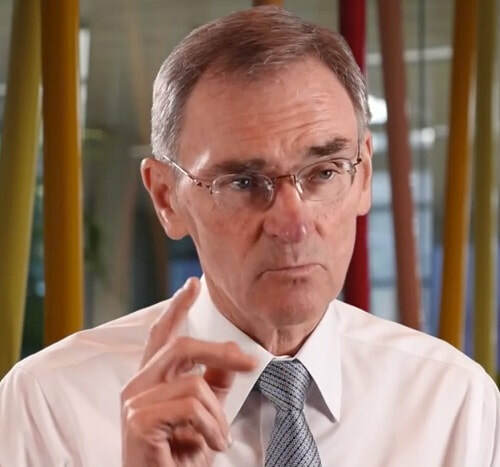 Following the release of a white paper by ASIC regarding the potential regulation of ICOs in Australia, Chairman Greg Medcraft is now saying it will remain largely outside the scope of regulators according to CoinDesk. ​"To be classified as a security it would have to have some sort of financial conditions attached to it. Financial obligations have to be offered in relation to it, either it's equity or it's a debt-like instrument or principal instrument or a derivative on that." Medcraft says that replicating the utility of bitcoin, but with a centralized scheme, would provide fewer non-nefarious reasons for individuals to use bitcoin or other decentralized currencies. "I tend to think that will be the great motivator of the issuance of digital currencies by central banks, because it does allow you to deal with the abuse of things like bitcoin. The attraction to policymakers is probably going to be removing the anonymity part, which will be very attractive in terms of dealing with the black economy and money laundering." In particular, he pointed to central bank experiments currently underway in Sweden, Signapore and Senegal as harbingers of what might become a global phenomenon in the coming years. ​ASIC has put in place a 'Fintech licensing exemption' that enables eligible businesses to test specific services and products for up to 10 months with up to 100 retail clients without holding an Australian Financial Services (AFS) or credit license. ASIC has published information sheets to provide guidance to companies exploring blockchain applications. Links are provided at the end of this article. Notably IBM has been investing in blockchain applications for some time now. IBM's Hyperledger are currently assisting global banks along with other blockchain developers including R3 CEV, Ripple, and Digital Asset Holdings. Hyperledger itself does not require any crypto currency to operate and instead focuses on providing functionality of permissioned networks, confidential transactions, and programmability. Meanwhile Digital Asset Services is working to build blockchains for the clearing and settlement of equities for the Australian Stock Exchange, which has an equity stake in the business. The Commonwealth Bank and 10 other banks have been trialing a peer-to-peer distributed ledger developed by R3 CEV which allows the banks to exchange value using "tokenised" assets without the need for a centralised third party. The banks include CBA, Barclays, BMO Financial Group, Credit Suisse, HSBC, Natixis, Royal Bank of Scotland, TD Bank, UBS, UniCredit and Wells Fargo. The R3 blockchain is underpinned by Ethereum technology and is hosted on a virtual private network in Microsoft Azure's Blockchain as a Service (BaaS). Mastercard has now also established a virtual currency. Mastercard has the benefit of an established network of points of acceptance online and offline giving it a huge advantage in establishing broad acceptance. Paypal should be in a good position to do the same. Amazon also appears to be getting in on the game with the registration of crypto sounding domain names. Unlike JPMorgan Chase CEO Jamie Dimon and billionaire hedge fund founder Ray Dalio, who have recently disparaged Bitcoin, the world’s most well known cryptocurrency, IMF Head Christine Lagarde shared a rosier vision of the general technology’s future with attendees of a Bank of England conference in London. “In many ways, virtual currencies might just give existing currencies and monetary policy a run for their money,” she said. Lagarde also commented "For now, virtual currencies such as Bitcoin pose little or no challenge to the existing order of fiat currencies and central banks. Why? Because they are too volatile, too risky, too energy intensive, and because the underlying technologies are not yet scalable. Many are too opaque for regulators; and some have been hacked." For further reading on Power Ledger try Business Insider, Tech Crunch, Huffington Post and the Australian Financial Review. For the latest ICO listings try Coin Schedule. For more discussion on energy sector applications try PwC Global Power & Utilities paper Blockchain - an opportunity for energy producers and consumers? and ​Bloomberg New Energy Finance with Europe's Biggest Utilities Join Blockchain Energy Trading Trial in May 2017. Try the McKinsey&Company presentation Blockchain Technology in the Insurance Sector for a good overview about blockchain. For those interested in looking further into blockchain applications in the strata industry, we encourage you to reach out.